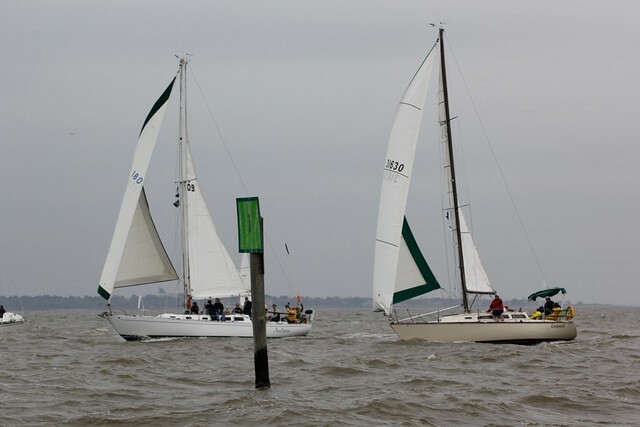 Saturday marked the last race of the 2015 GBCA Cruzan Rum Icicle Series Regatta. I was able to crew four out of the five races this year, and although neither Hippokampus nor Antares placed, I had a great time. The next series doesn’t begin until May, so we should have plenty of weekends to get Gimme Shelter out on the water. We were excited to hear from the office this week that a slip we’d had our eyes on along the western bulkhead near the pool was opening up. Maybe we’re lazy, but it’s really nice to be able to step out of the car and onto the dock. It’s also really nice not having to walk a maze of docks when the dog has to go out at 3 a.m., and it’s 30 degrees outside. We’d gotten a spot on the bulkhead in the fall, but we were stuck in the corner, so getting out of the slip was a little tricky. We also had so much trash and debris collecting around us that I was worried it was going to clog the strainers. Our new slip was about halfway down the pier, so I went to check it out Saturday morning. That’s when I found poor Bugs. So when you find a dead rabbit in your slip, is that a bad sign or is it considered good luck since there’s not one but FOUR lucky rabbits feet? Either way, we hoped he would float off by Sunday when we moved the boat. 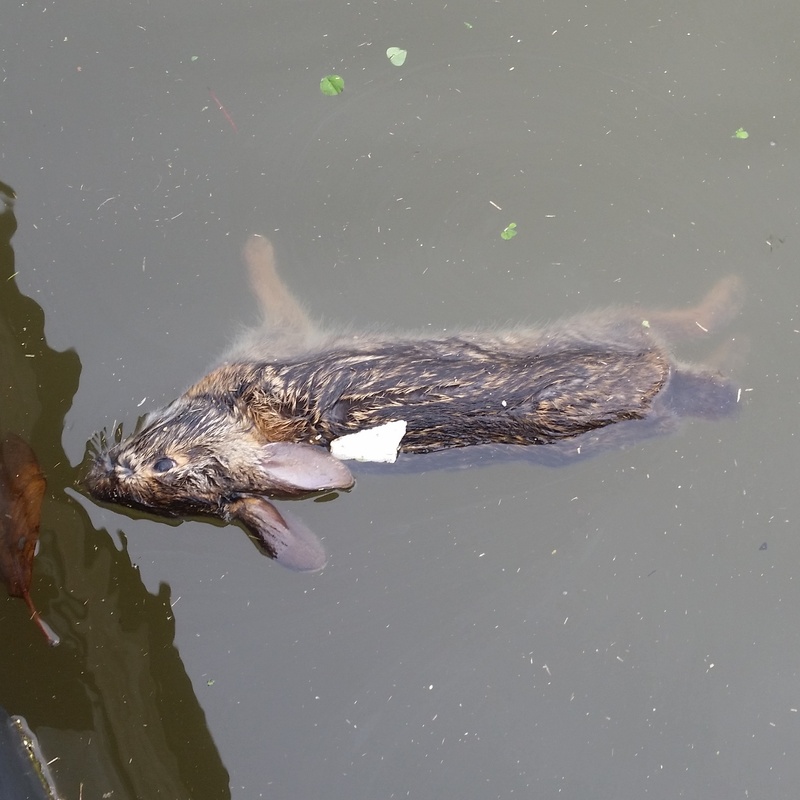 Meanwhile, in a completely unrelated incident, one of our other neighbors bought a dozen pigmy rabbits at the 4H sale and slaughtered them on the back deck of his boat Saturday evening. I guess it’s not that much different than gutting fish, but I’m glad I wasn’t there to witness those bunnies getting clubbed. It was just an all-around bad weekend for rabbits. Sunday happened to be my birthday, and there was no better present than waking up to a sunny, 70-degree morning. We moved Gimme Shelter to her new slip, had some coffee with friends on the Tina Marie. I spent the afternoon shoveling horse manure for Mary’s vegetable garden. 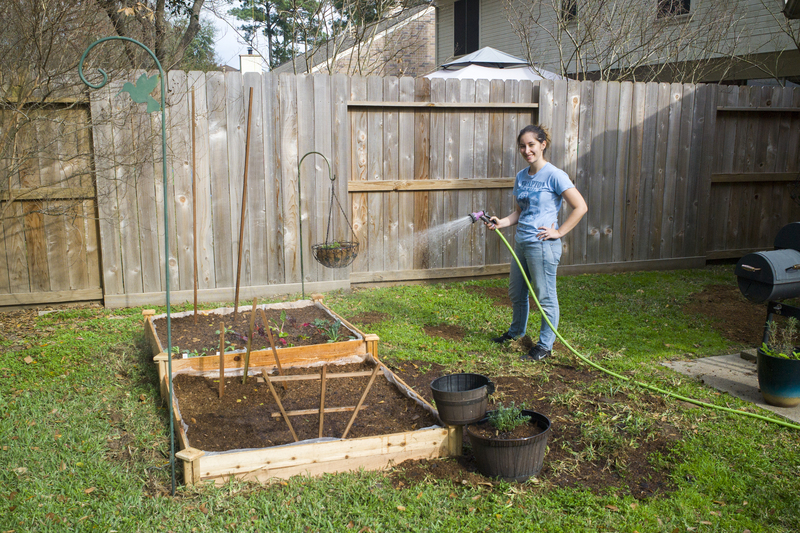 Don’t be surprised if you see some blogs from her about gardening very soon. Now it’s off to watch the Superbowl. Hope everyone has a good week. I think the Seahawks would have preferred to spend their afternoon shoveling horse manure. Hehehe. 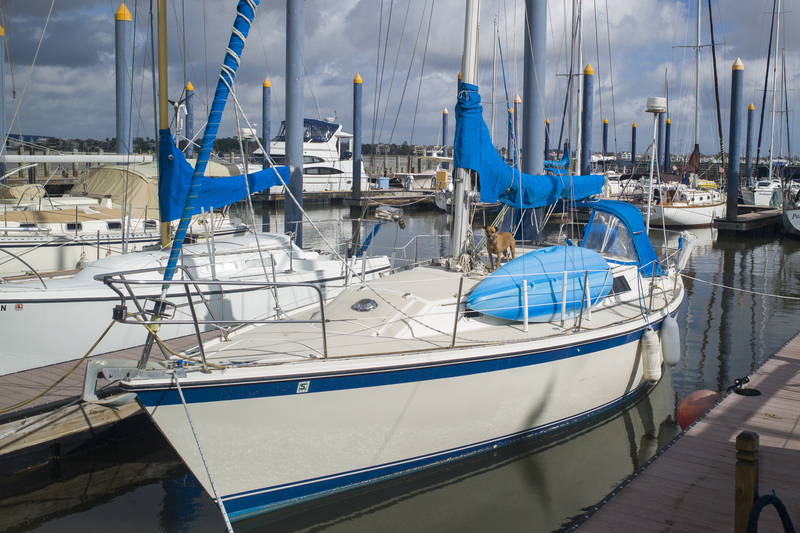 What does it cost to replace the mainsail?